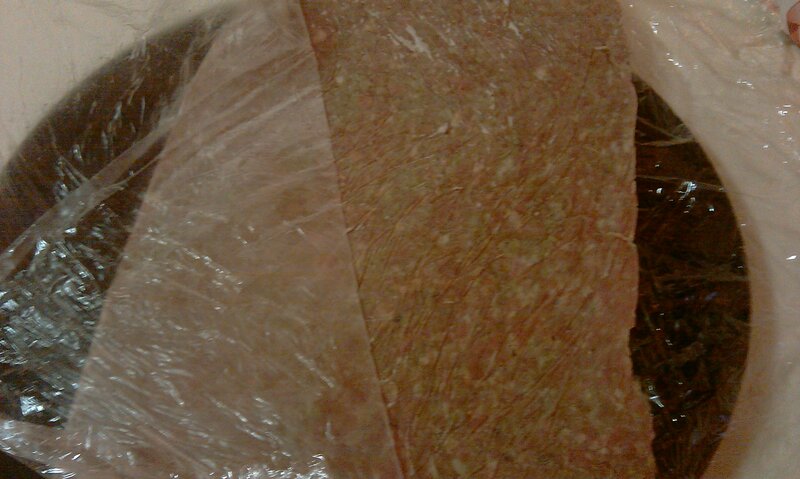 Take the meat mixture, from above, and place in between a folded plastic wrap. With a rolling pin, roll it out as thin as desired. I like mine rather thin. 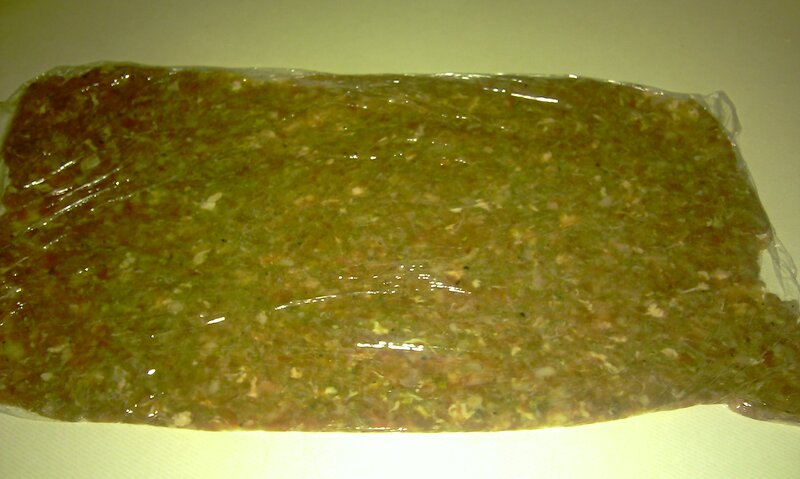 Place in the freezer for about half an hour. It should be completely frozen. Remove the plastic wrap–and with a scissors cut into strips. 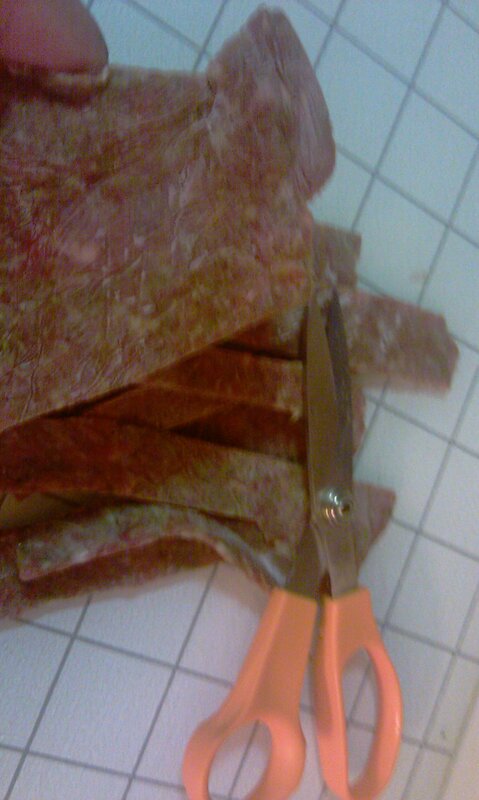 I use the kitchen scissors to cut them into strips. Then place them either in a frying pan–without any oil, they will excrete some on their own– or place under the broiler.They take no more than 5 min to cook. Take them out, and cut them into smaller pieces and assemble your pita pocket sandwiches as desired. Insha Allah will ask around for one , make it and post for you insha Allah. And one more question: what are English cucumbers? 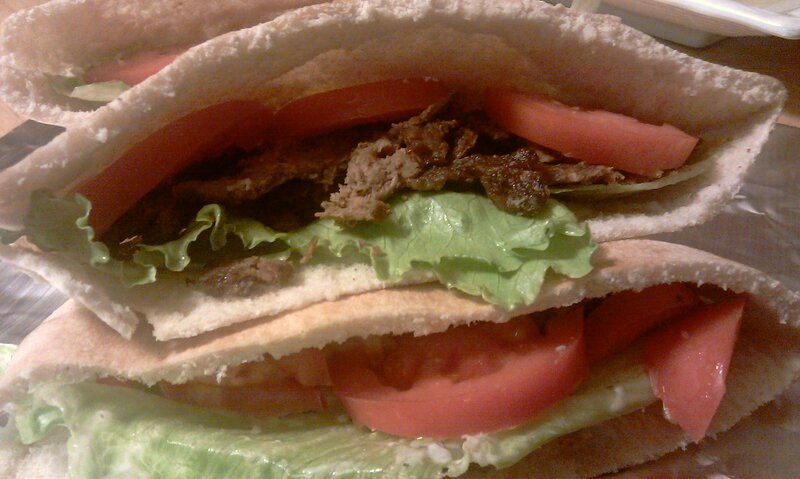 and do you mix the cucumber sauce with the meat before freezing or use it as a seasoning in the sandwich? Sorry. English cucumbers are just regular thin cucumbers that we use in the Middle East. Here they have big ones that i do not like. So our regular small and thin and tasty cucumbers is what i meant.